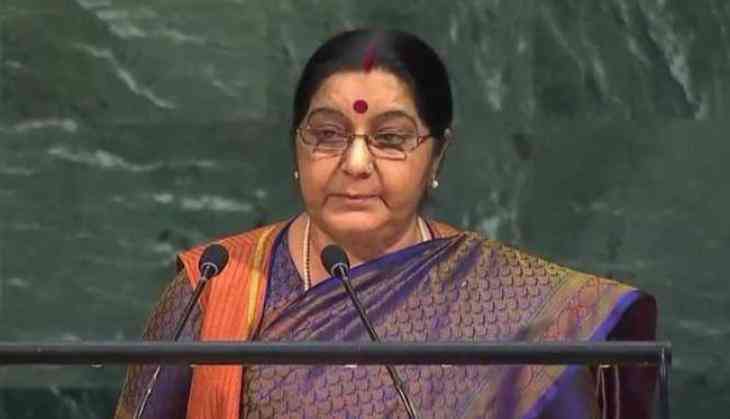 External Affairs Minister Sushma Swaraj has sought a report from the Indian Embassy in Washington over a Sikh boy being allegedly beaten by two students on a sidewalk near Kentridge High School in Washington State. "I have seen news reports about the beating of a Sikh boy in US. I have asked @IndianEmbassyUS to send me a report on the incident," Swaraj said in a tweet. According to The News Tribune, a teenage boy followed the victim and knocked him to the ground with a punch. The victim was there after punched several more times as he tried to protect his head and crawl away. The local Sikh community has responded to the incident with outrage. The victim's father claimed that his son was targeted because he was a Sikh. However, school officials said the attack was not religiously or racially motivated, but was instead a continuation of an earlier classroom dispute.